- To be fair, there is a precedent for it being his spot. Oh my god, it's a main character! The title of the book Grace is reading is, in full, "Khan and The Wrath Thereof". It's possible this is a Star Trek II reference, but I don't like to make assumptions. 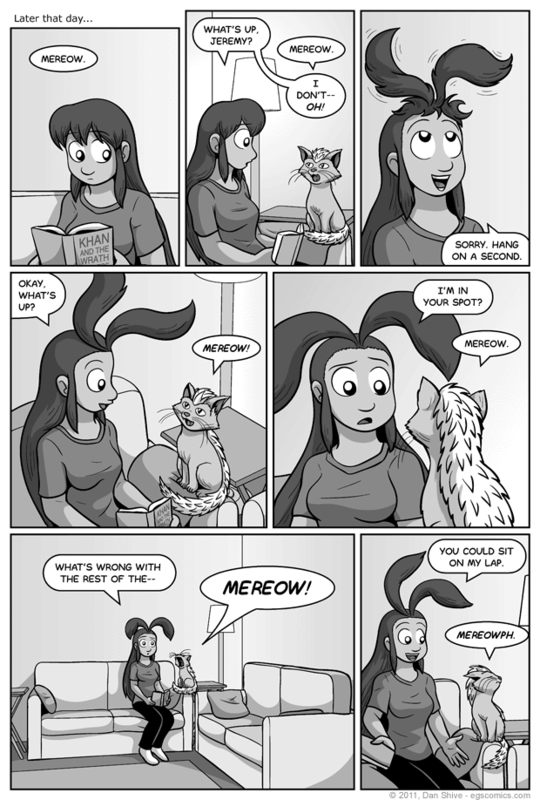 This isn't the first time Grace has communicated with animals, though she hasn't done it often on-panel. The biggest animal communication scene she's had previously, in fact, was during a comic sequence that may or may not even of been canon. I suppose it's possible there's actually a squirrel statue somewhere in Tedd's backyard. It's probably best left ambiguous.